Dublin Coddle is a traditional Irish dish dating back to the 17th century. 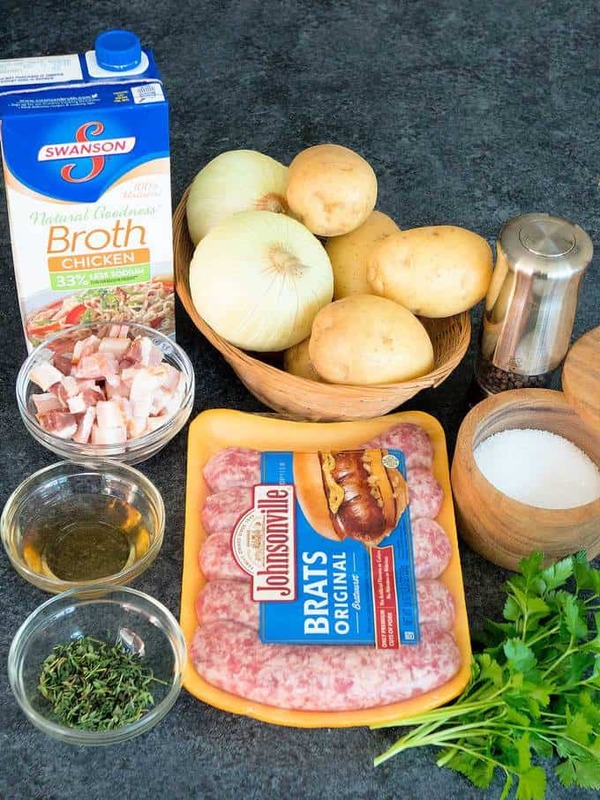 It consists of potatoes, onions, and sausage cooked together and garnished with bacon to create an amazing dish. 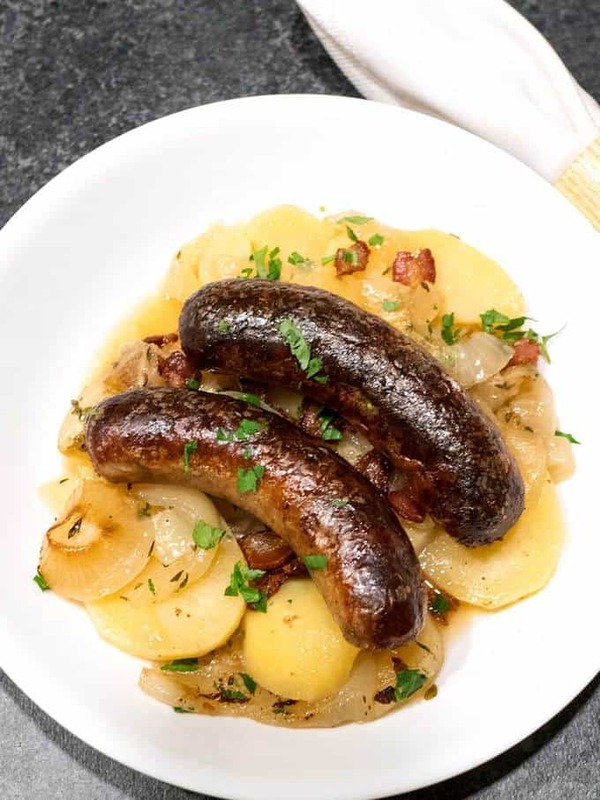 The traditional Dublin Coddle uses Irish bangers. However, bratwurst works well if you can’t find Irish bangers. Be sure to have some Irish Soda Bread on hand to mop up the juices! 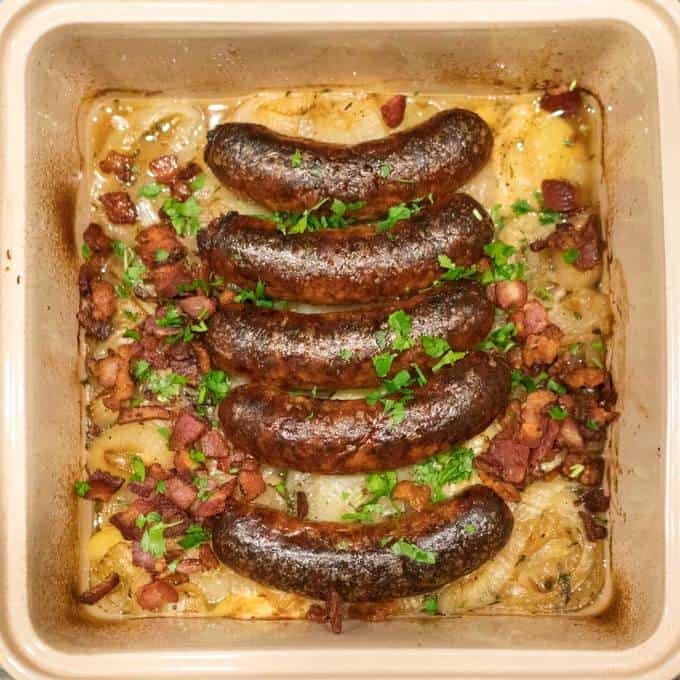 I used the following ingredients, adapted from an America’s Test Kitchen recipe: Yukon gold potatoes, salt, freshly ground black pepper, thick cut bacon, bratwurst, onions, thyme, chicken broth, and cider vinegar. I started by layering the potatoes in the bottom of a 9 x 9-inch baking dish. Then, I sprinkled the potatoes with salt and pepper, and set them aside. Next, I cooked the bacon in a 12-inch skillet until it had rendered its fat and was crispy. This took about 15 minutes. I transferred the bacon to a paper towel lined plate. Then, I browned the sausages in the same pan that I had used for the bacon. This only took about 5 minutes. I transferred them to the paper towel lined plate to drain. At this point, the sausages were not cooked through. I poured off most of the fat in the pan, and added the onions, thyme, salt, and freshly ground black pepper. I covered the pan, and cooked the onions over medium heat until they started to soften. This took about 9 minutes. Next, I added the chicken broth and vinegar to the onions, and stirred the mixture to scrape up any browned bits. After the liquid was hot, I poured the mixture over the potatoes, and spread the onions in an even layer. 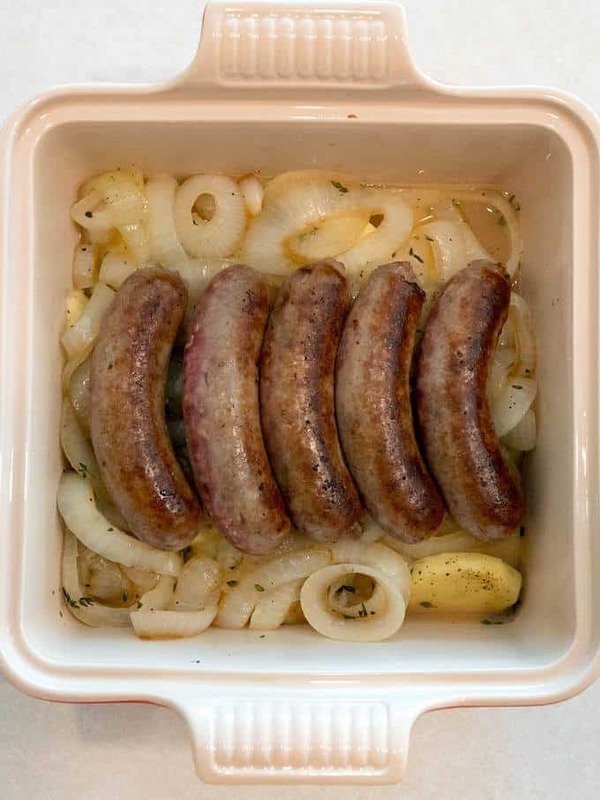 Finally, I finished the dish off by placing the sausages on top of the onion layer. I popped the Dublin Coddle into a preheated 325° F oven for about an hour and 15 minutes until the potatoes were done. After letting it cool for about 10 minutes, I finished the Dublin Coddle off with a sprinkling of the bacon and chopped parsley. I served it with some Irish soda bread that I had made yesterday. Yum! Shingle potato slices in bottom of 9 x 9-inch baking dish. Sprinkle with 1/2 teaspoon of salt and 1/4 teaspoon of pepper; set aside. 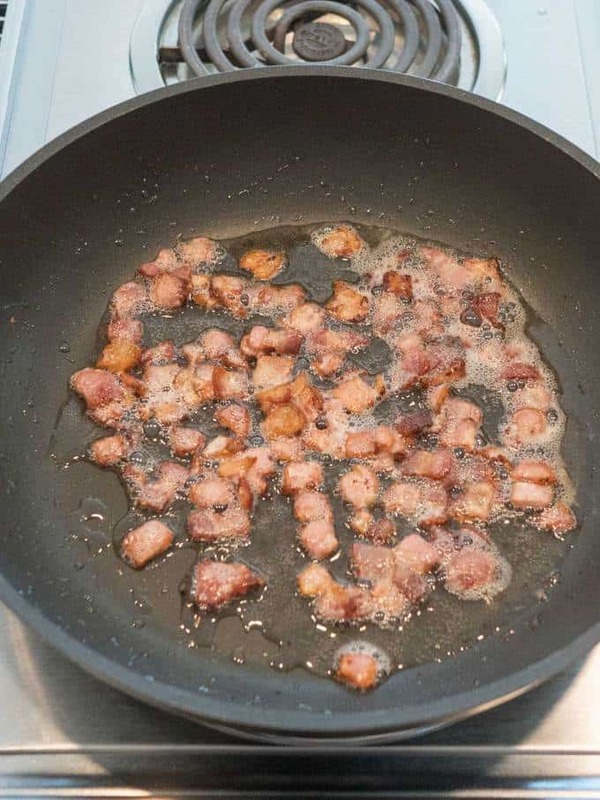 Cook bacon in 12-inch skillet over medium heat until crispy, 12 to 14 minutes. Using slotted spoon, transfer bacon to paper towel–lined plate. 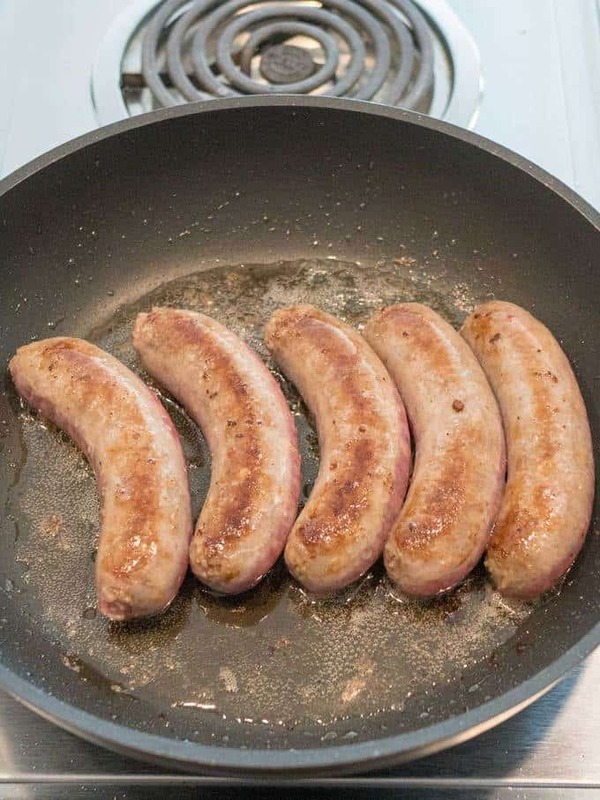 Carefully add sausages to now-empty skillet and cook until lightly browned on tops and bottoms, about 5 minutes. Transfer to paper towel–lined plate. Pour off all but 2 tablespoons fat from skillet and return to medium heat. Add onions, thyme, 1/2 teaspoon of salt, and 1/2 teaspoon pepper. 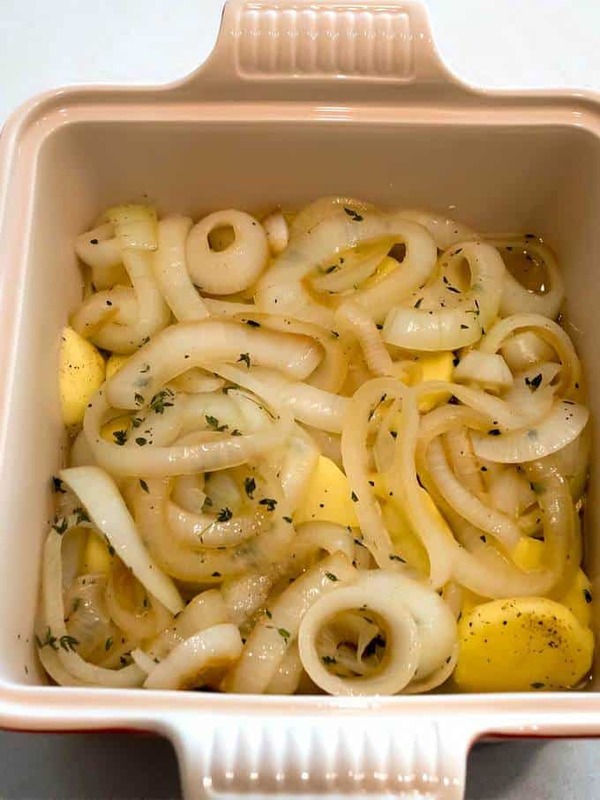 Cover and cook until onions are softened, 7 to 9 minutes, stirring occasionally and scraping up any browned bits. Add chicken broth and vinegar, scraping up any browned bits, and bring to simmer. Carefully pour onion mixture over potatoes, spreading onions into even layer. Place sausages, browned side up, on top of onions. 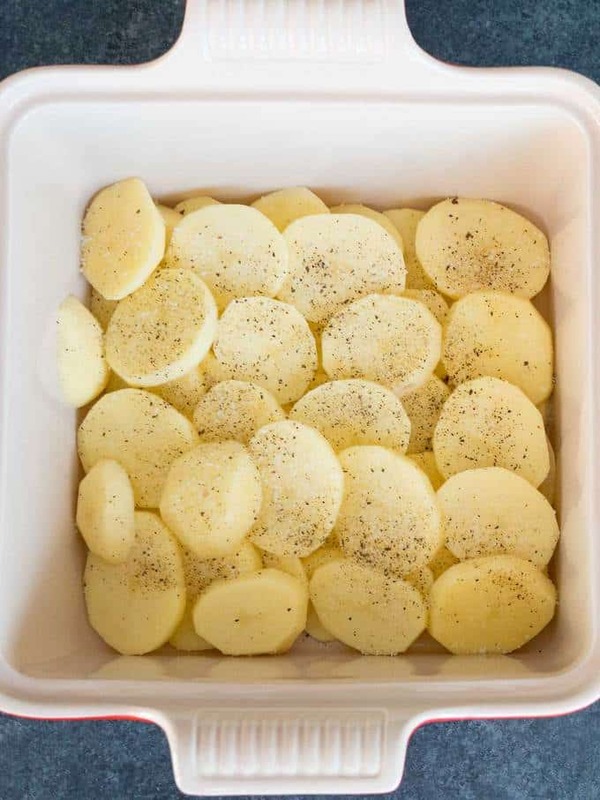 Transfer to oven and bake until paring knife inserted into potatoes meets little resistance, about 1 hour and 15 minutes to 1 hour and 45 minutes. Remove from oven and let cool for 10 minutes. Sprinkle with parsley and reserved bacon. Serve. Yield: 3 to 5 servings.